The 2.66 GHz model used an Intel Core i7 CPU with 4 MB of L3 cache. The Intel HD Graphics chipset used a portion of main memory as VRAM. Though reported as a 256 MB graphics system, the chipset actually used up to 272 MB of RAM. Introduced in April 2010, The MacBook Pro (15-inch, Mid 2010) was primarily a speed-bump of the The MacBook Pro (15-inch, Mid 2009). Improvements included faster processors, improved graphics chipsets, and larger hard disks for the low- and mid-range models. Built-to-order options included a 500 GB 7200 RPM hard drive, a 128, 256, or 512 GB solid-state drive, a 1680x1050 glossy or anti-glare display, and up to 8 GB of RAM. 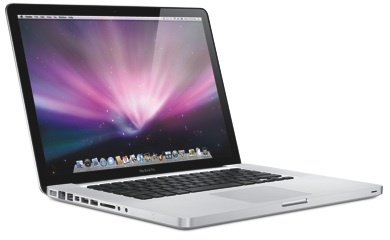 The MacBook Pro (15-inch, Mid 2010) was replaced in Febrary 2011 by the MacBook Pro (15-inch, Early 2011).